Maun is the fifth largest town in Botswana. It is a nod to both the future of Africa as well as its interesting past. The town boasts an eclectic mix of modern buildings and native huts residing side by side. 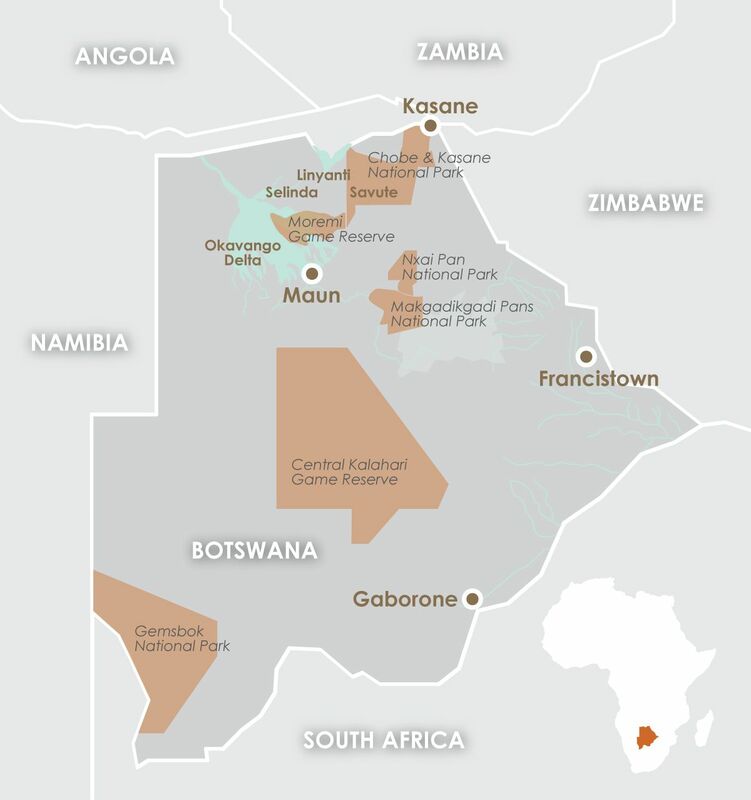 As the tourism capital of Botswana, Maun is home to the headquarters of numerous safari and air-charter operations that run trips to and from the Okavango Delta. The town is growing rapidly, with numerous shopping centres, hotels and lodges popping up at a constant rate. However, Maun still manages to maintain its rural atmosphere with the local tribesman bringing their cattle into the town’s centre to sell and barter. With its modern touches and diverse architectural offerings, Maun makes the perfect pit stop for any traveller looking for a little down town before embarking on an adventure in the Okavango Delta. The dry winter months May to October are the best time to visit this small yet culturally packed town. Winter provides visitors with warm days and very little rain, making it the perfect time to explore. The surrounding areas are full of wildlife. During dry season the grass is low and dry, which makes the spotting of game and its accompanying predators easy. Maun is both a historical and curio haven for enthusiasts. The Nhabe Museum is home to numerous collections of photographs, local arts and crafts as well as the famous Botswana basket weavings. The gift shop is the ideal place to buy souvenirs with painting, woven baskets and keepsakes. Another highlight is the 2-day Maun Festival, which is generally hosted in April. The festival celebrates local and international art, music and culture. It kicks off with a colourful parade through the streets of this interesting and vibrant village. The Maun Game Reserve is a small stretch of woodland that is home to the rare Red Lechwe. Antelopes and various other species of buck can be seen from the shorelines. To get a different point of view, take a booze cruise down the river. For the more daring and adventurous experience take in the sights from above in a helicopter or a microlight.